Monday already, how did that happen. It's the first day of the Summer holidays today and I am feeling happy, positive and all set for six weeks of fun with my girls. 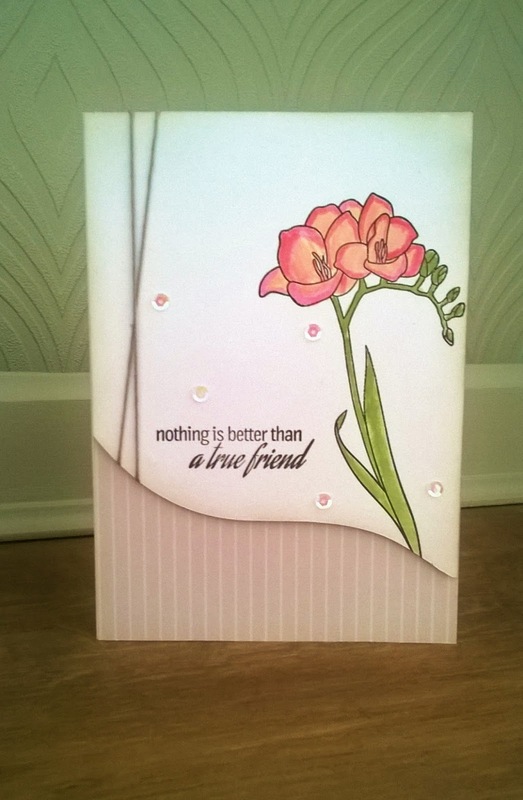 I stamped the flowers and used Altenew's Crisp inks to water colour the petals and stem. I cut the card topper in a curve to add extra shape and dimension. The natural twine and sequins add a little elegance to the design. 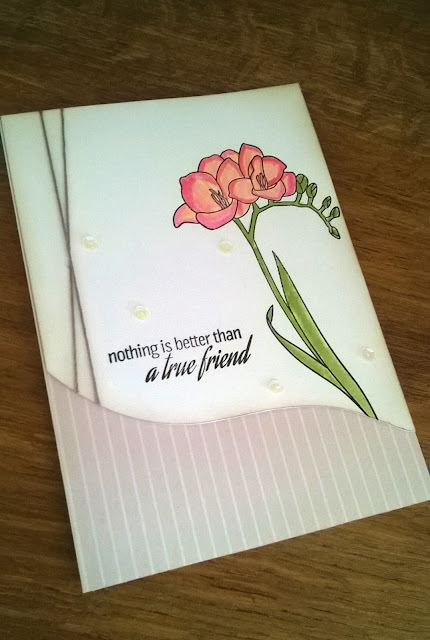 I added a simple beige stripe paper and softened the edges of the white card with distress ink. I love freesias and I especially love how beautiful this card turned out.